Sometimes debt is unavoidable. You weren’t financially prepared, something came up, and you had to spend more than you had. Other times, debt is completely avoidable. You saw something you wanted, you didn’t save up for it, and you purchased it on credit. Any way you cut it, debt isn’t a good thing to have. You are paying interest â€“ spending more money â€“ on something already in your possession. The faster you pay off your debt, the better your financial position becomes. But our debts can seem overwhelming at times. The monthly or annual amount needed to put a dent into your debt can seem to be so much that you will never achieve debt freedom. Yet procrastinating on your debt is not the answer . . . the cost is simply too high! Procrastinating is easy to do on any task that we think is uncomfortable or requires a lot of work. But while procrastinating on that paper in college only cost you a loss of sleep the night before it was due, delaying on your debt has far higher consequences. Interest. The biggest cost of not paying off your debt is the interest you pay to finance your previous purchases. You spent more than you had, and that comes at a cost. Depending on what you purchased and which financing method you chose, you could be paying anywhere from 5% to 20% in interest. That interest represents a huge sum of money if you delay in paying off your debt. Stuck in neutral.Â If you aren’t focused on paying off your debt, you aren’t moving forward. At least if you are paying the minimum payments then you aren’t moving backwards, but you don’t want to remain stuck in neutral forever. By having to spend extra money on debt interest, you aren’t able to save, invest, and plan for your future. You’re stuck dealing with past poor decisions! One of the ways you can trick yourself into thinking you are making progress on your debt when you really aren’t is to just pay the minimum payment. Minimum payments are just that â€“ the absolute minimum payment you can make while still making small dents in your debt. A $10,000 credit card balance with a 15% interest rate and 2% minimum payment would take 32 years to pay off. During that time you would pay $15,580 in interest â€“ more than the original debt. Even with a 5% minimum payment you would pay $3,330 in interest and need 15.5 years to pay off the debt. Minimum payments are one of the ultimate ways to procrastinate on your debt; don’t fall for the trick! Don’t miss a payment.Â Missing a payment or even paying a few days late can skyrocket your interest rate and cause a huge number of fees on your account. The first thing to do is to make sure you are not missing any payments. An easy way to do this is to set up your debt minimum payments to automatically be paid every month. Spend less than you earn.Â After you make sure you aren’t going to get hit with late fees, it is time to increase the amount of money you have available to pay off your debts. That means spending less than you earn (even if you live in a big city) and cutting back in as many areas that you can. 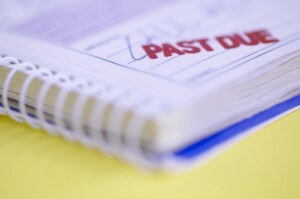 If you can cut back for a few months or years, you could pay off your debts completely. Do a debt snowball.Â Once you know how much extra money you have every month, you can start a debt snowball. Pay off your lowest balance debt first, then roll the minimum payment you would have paid on that debt into the next smallest debt. Roll that money forward until you are debt free. Have you experienced the high cost of procrastinating on debt? What are you going to do about it? Leave a comment!